Now that I've gotten my corniness out of the way, allow me to introduce you to a must-have: the polka dot romper. I'll be the first to admit, when I was younger I did not appreciate the blessing that is Marshall's. 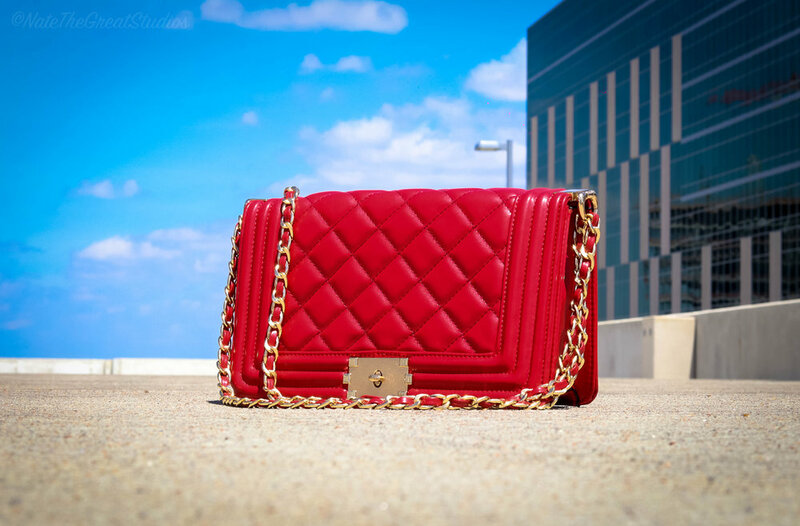 Now that I know the major key to any fashionista's wardrobe is beautiful pieces snagged on a budget, it's a regular shopping destination. This Marshall's find is feminine, figure flattering for petite, curvy or tall girls, AND it was $16!!! 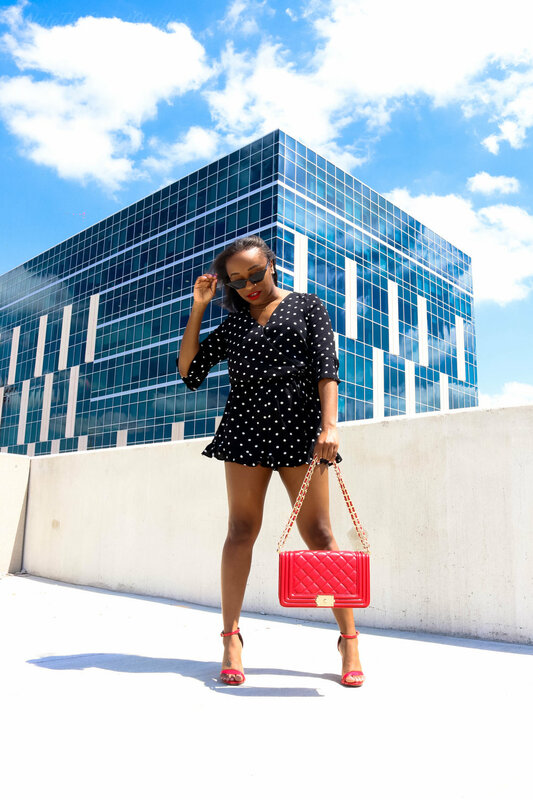 A flirty romper is a spring staple because of its sheer versatility. ⚖️ Although I styled this number with strappy heels and my fave messenger bag from Shop J&G, you can easily slay the effortless way in flats while toting a simple clutch. The cinched, wrap-tie waist detail and ruffled hems hug your assets while seamlessly draping over you with just the right amount of comfort for all day wear. Spring is a season full of warmer weather, longer evenings, and more rooftop moments, making it perfect time for the iconic pattern. 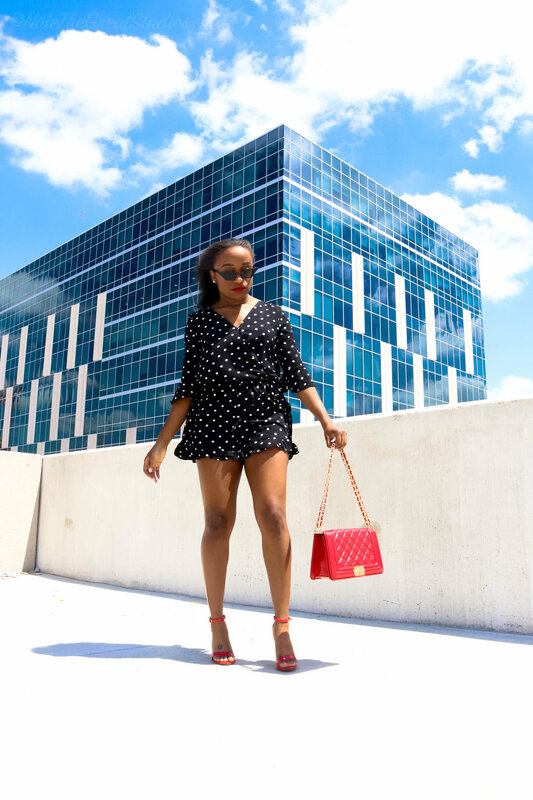 A polka dot romper, or any spotted statement piece, is always a winner when headed to dinner with someone special, on vacation with the girls or on a fun weekend outing. Invest in a polka dotted piece that you can wear regularly and always go for spotted accessories after you've secured a main garment. Strut your spots with confidence and chic vibes all the way through the summer, sis! Love you -- mean it!